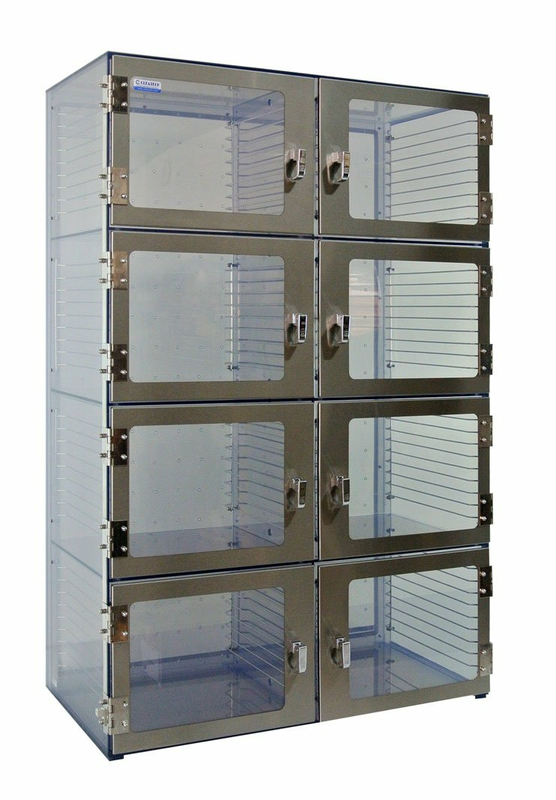 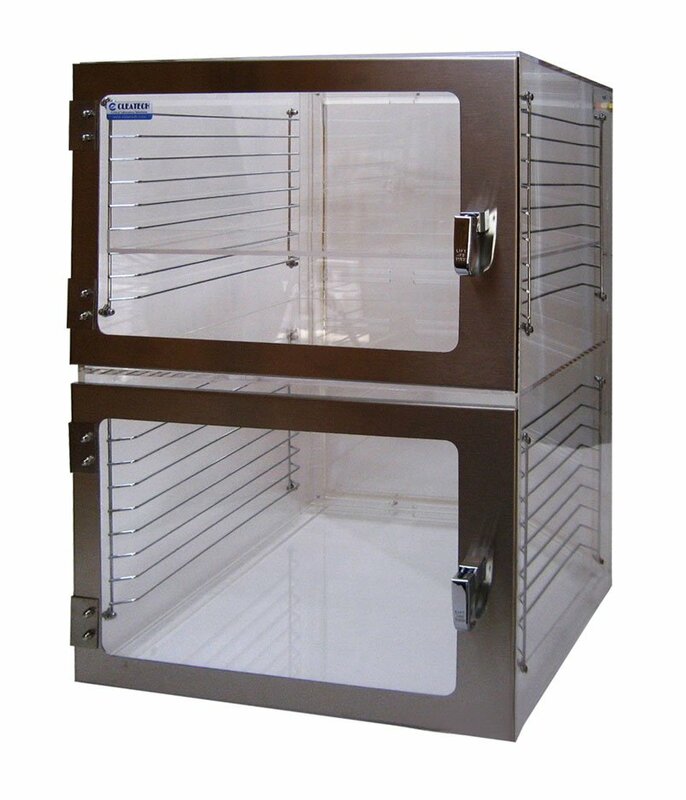 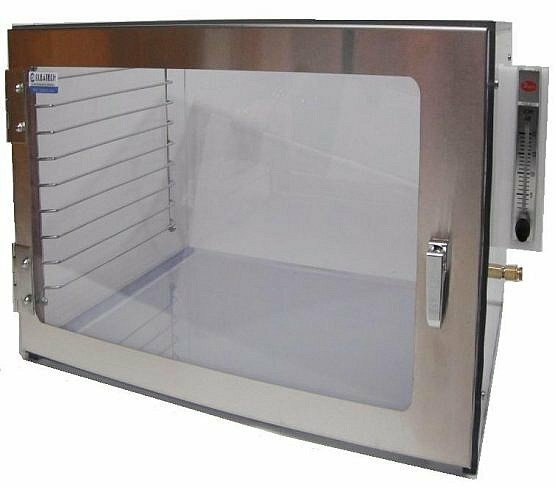 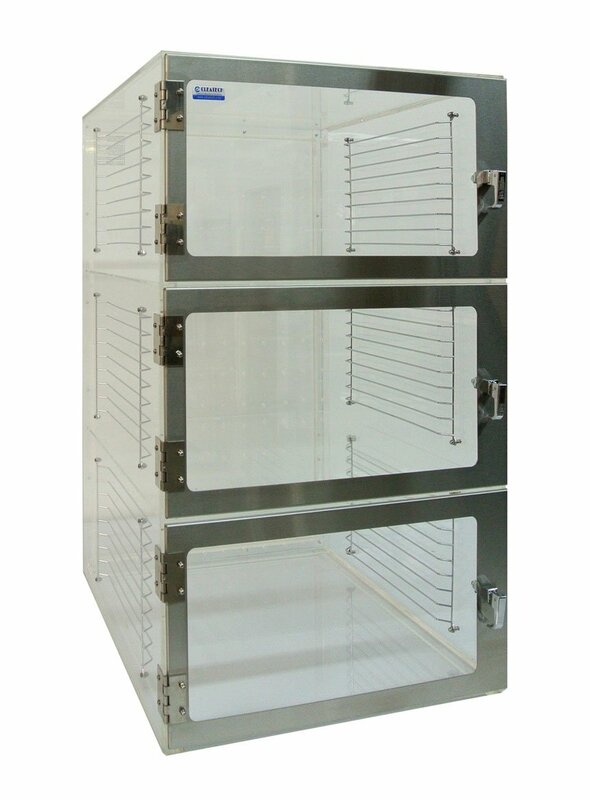 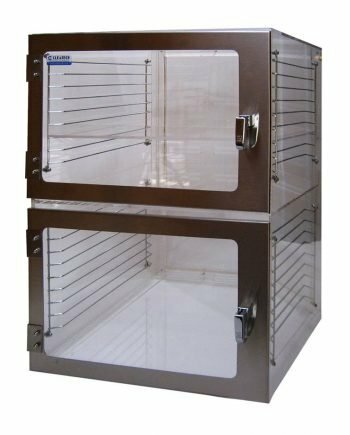 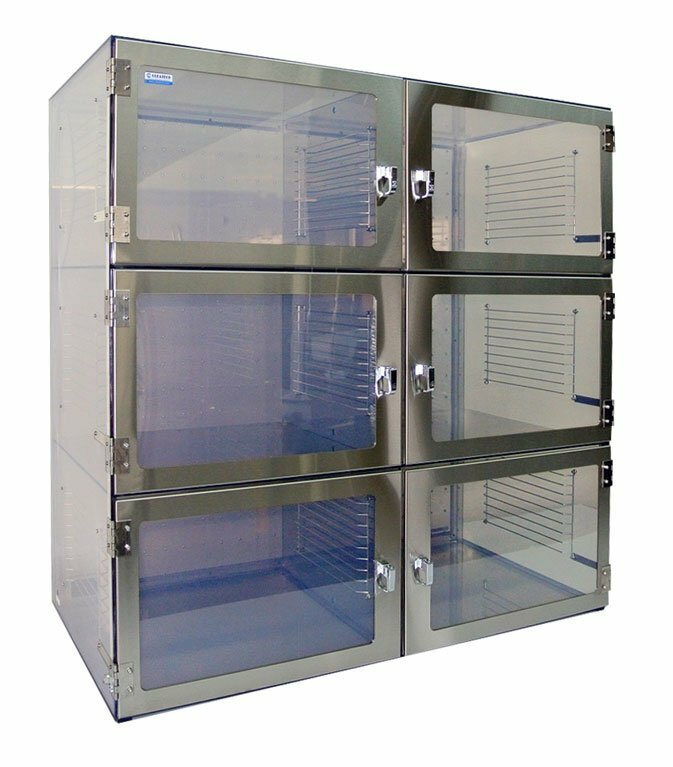 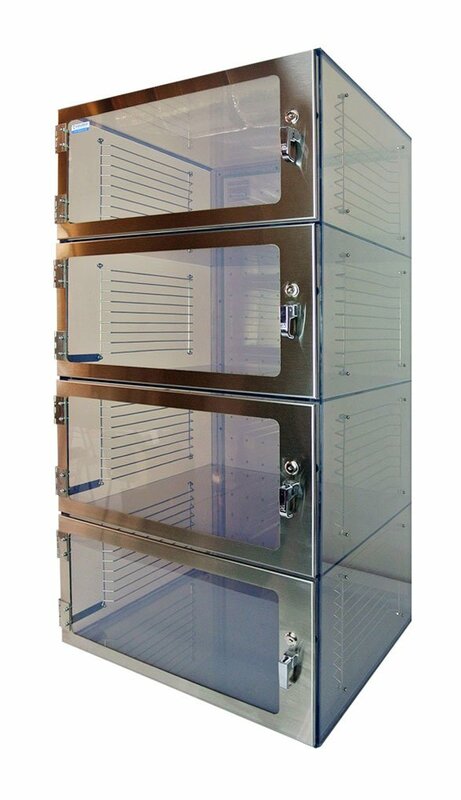 Laboratory and Cleanroom Desiccator cabinets 1500 series with optional removable shelving . 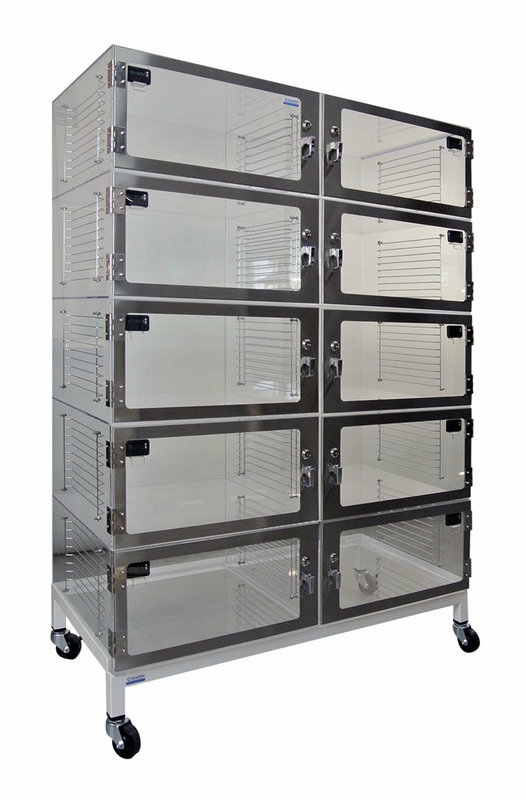 Plastic or Stainless steel perforated shelves can be placed inside each chamber in 1 inch increments. 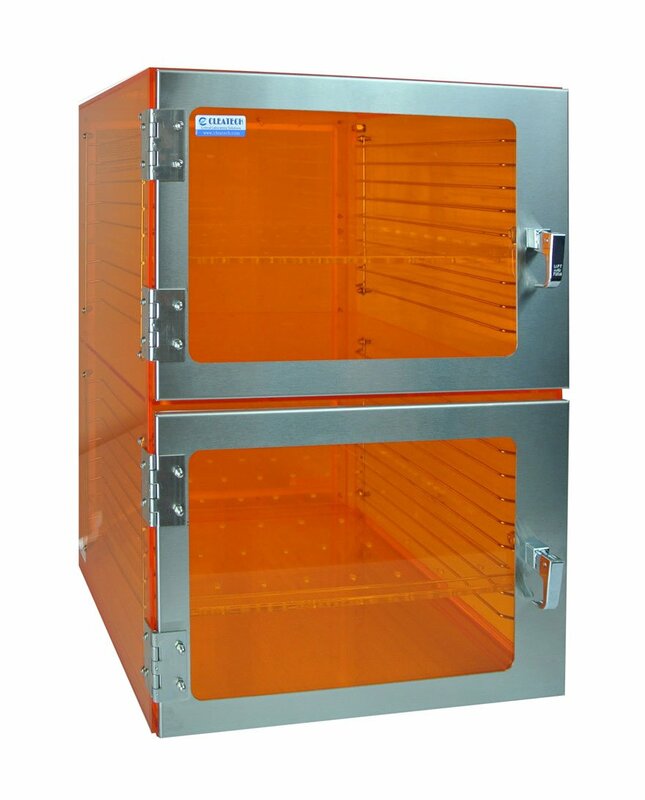 Cabinets are available in Clear and Amber Acrylic and Static dissipative PVC as one door cabinet up to 10 chambers. 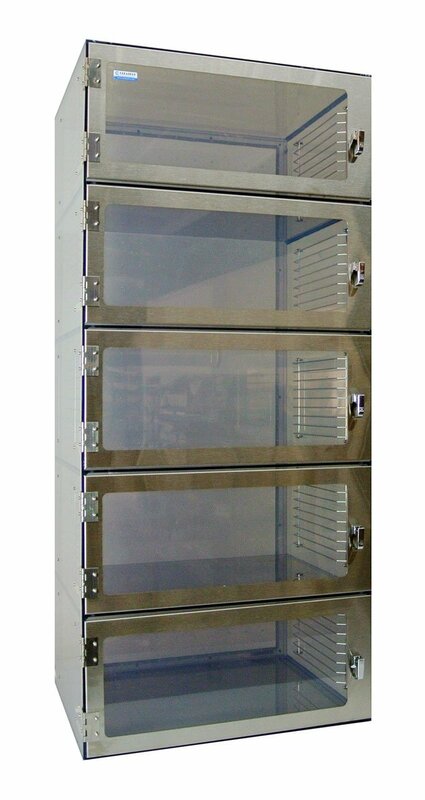 Optional nitrogen purge ports and plenum for maintaining low humidity and oxygen atmosphere in inert gas environment.